HomeNewsCommunity BuildingIF ERN session: How can your association work with healthcare providers? 27 January 2018 // On Sunday 26 November 2017, IF organised a joint session for representatives of its European member associations and a group of Spina Bifida and Hydrocephalus (SBH) clinicians, involved in the European Reference Network (ERN) ITHACA (on congenital malformations and rare intellectual disability), as part of its European Workshop in Stockholm, Sweden. The purpose of this day was to highlight the importance of cooperation between healthcare providers and SBH associations. Mario Sel, member of the Flemish Association for Spina Bifida and Hydrocephalus, presented how they cooperate with the multidisciplinary SBH teams at the University of Ghent and the University of Leuven in Belgium. Watch his full presentation here and take a look at his slides here. Dr. Frantisek Horn, IF board member and paediatric surgeon from our Slovak association, presented how the association was founded. The aim was to exchange knowledge and experiences, as well as materials, such as a wheelchair. This work developed into summer camp and other activities. Watch the full presentation here and take a look at his slides here. 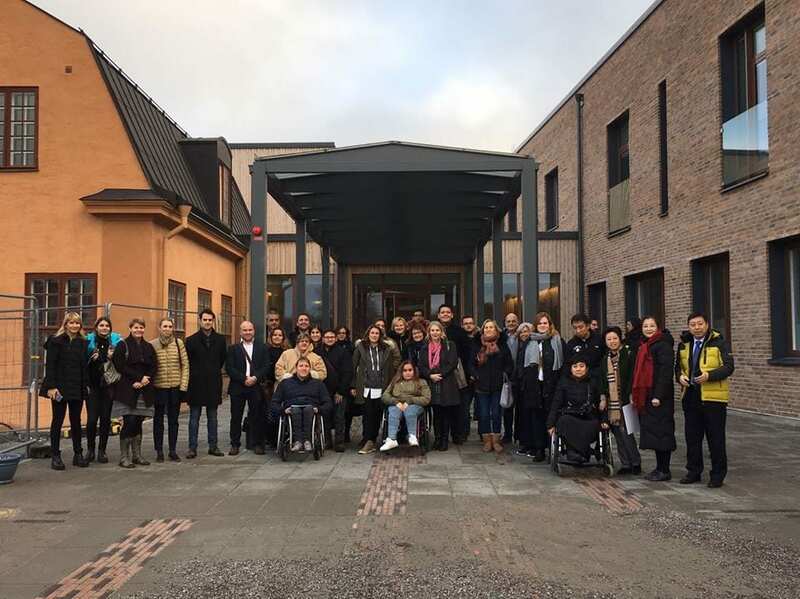 Ammi Sundqvist Andersson, member of RBU, the Swedish national Federation for children and youth with disabilities (Rörelsehindrade Barn och ungdomar) and IF European Patient Advocacy Group (ePAG) representative for the ERN-ITHACA, provided some basic information about the ERN. She emphasises the importance of the support and involvement of IF’s members. Watch the full presentation here and take a look at her slides here.